Langley Leads the way its new hand applied liquid waterproofing system ..
Langley Waterproofing Systems Ltd is leading the way with its new hand applied Cold Polyurea liquid waterproofing system. 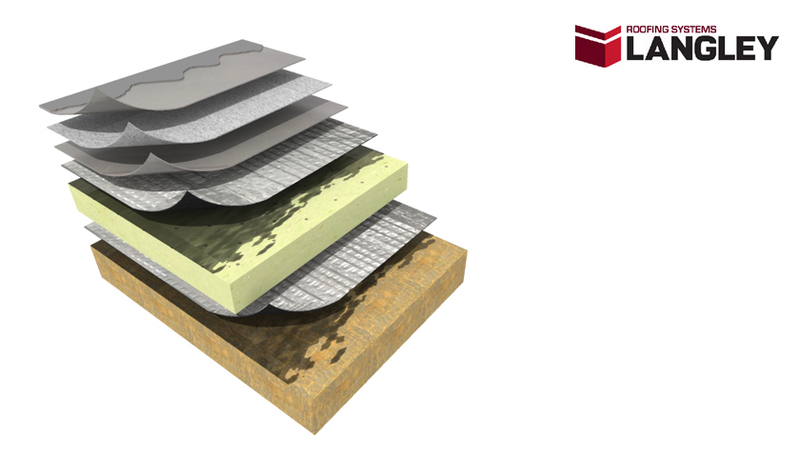 For use on flat roofs, balconies and walkways, Cold Polyurea is a quick to install, fast curing and durable solution. Cold Polyurea is an advanced, wet on wet, fully reinforced liquid waterproofing system – and the latest addition to Langley’s range of flame-free, cold applied liquid waterproofing systems. It is flexible and suitable for a number of applications; it can be used in both the refurbishment and new build sectors and is suitable for flat roofs, balconies and walkways. Cold Polyurea is one of the fastest curing systems on the market – within just three hours of being installed, the roof can withstand foot traffic. Its fast application means installers are on site for less time, reducing disruption to the building and its occupants, as well as the client. Langley’s new system is available for roofs, walkways and balconies and can be installed utilising an insulated or un-insulated system. For roof installations, Cold Polyurea includes a UV stable sealer coat, to protect the roof from sun damage and prolong its life-span. When installing on walkways and balconies, the sealer coat of the Cold Polyurea is UV stable and slip-inhibiting, to improve the safety of those accessing the area. Dean Wincott, Managing Director of Langley Waterproofing Systems Ltd, said: “One of the major benefits of Cold Polyurea is its versatility – with a variety of supporting products, as well as different colour options, it can be specified for a wide range of projects. Price point is also a key factor and the combination of this, including a faster curing time, allows the Cold Polyurea products to be a market leading waterproofing system. The new Langley Cold Polyurea system is classified with a Broof(t4) fire rating, which independently tests for the external spread of fire under the Building Regulations, meaning it is unrestricted on where it can be used on a roof. It is fully BBA certified and meets NHBC Technical Standards Chapter 7.1 for roofs and balconies. Cold Polyurea also offers a long-term solution with a 25+ year life expectancy. The system is available with independent insurance backed guarantees of 20 years; an assurance that the system can withstand continued use over time. Langley ensures that a fully bespoke specification is completed prior to the installation of the Cold Polyurea liquid roofing system, to ensure that the chosen system is carefully considered, specified and expertly installed, by one of a network of Langley Approved Contractors, for each individual project.